Be sure to check out all 22 of our photographs from this event HERE! CHINATOWN -- Love will most definitely be in the air around the District tonight. 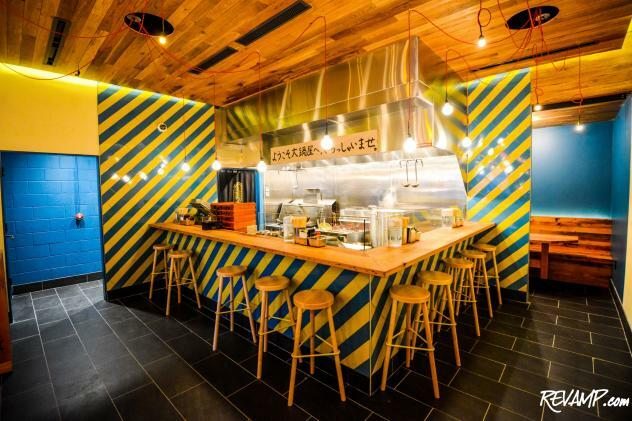 Love of ramen that is, as hotly anticipated Japanese restaurant Daikaya opens its doors for the first time to the general public behind the Verizon Center at 5:00p.m. 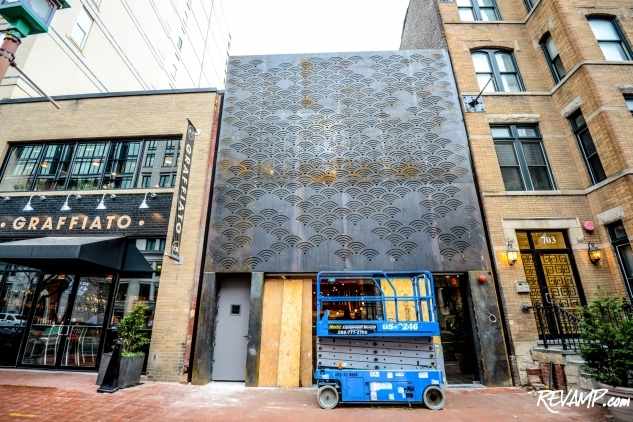 The brainchild of partners Daisuke Utagawa, Yama Jewayni, and Katsuya Fukushima (who also serves as Executive Chef), the new space is modeled after the high-density restaurants common in Tokyo, where different venues are oftentimes stacked on top of one another in the same building. 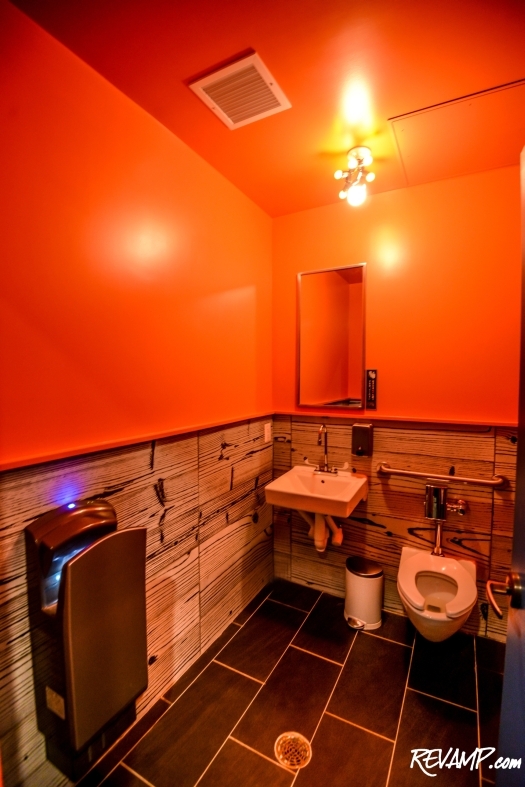 Accordingly, Daikaya boasts two dedicated levels with the 40-seat ground floor specializing in Sapporo-style ramen and the upstairs housing a 90-seat izakaya (Japanese tavern). For the next month or so, however, Fukushima is committed solely to focusing on the former, with the second floor scheduled to open sometime towards the end of March. Such a tiered rollout will allow the kitchen team, including Executive Sous Chef Michael Turner and Sous Chef Benjamin Nola, to continue to perfect its ramen recipes, which take a staggering amount of skill to prepare correctly. The noodles served at Daikaya are made and aged in Sapporo before they are shipped to the restaurant, which will specialize in four different ramen types: miso, shio (salt), shoyu (soy), and vegan. Sapporo ramen, arguably Japan's most prominent and influential style, is the product of four major elements: stock, noodles, tar (the sauce which determines the general flavor of the bowl), and all of the spices, oil, and toppings. To create a good bowl, all of these elements must therefore be in balance with one another. And as the owner of one of Washington's pioneering first Japanese restaurants, the award-winning Sushiko, Utagawa knows what he's talking about. 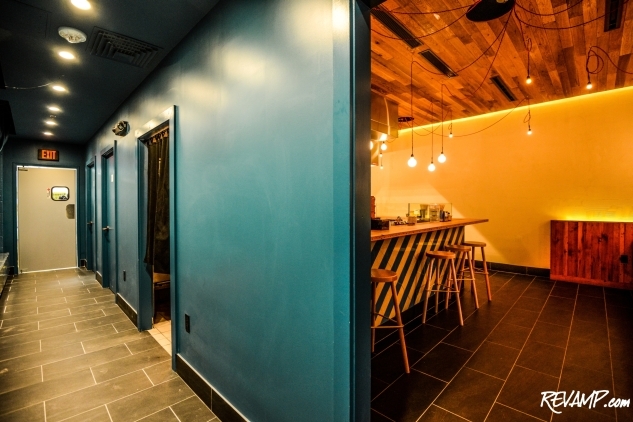 And by joining forces with Jewayni (one of the founding partners behind Eighteenth Street Lounge), and Fukushima, the trio are set to take the city by storm. 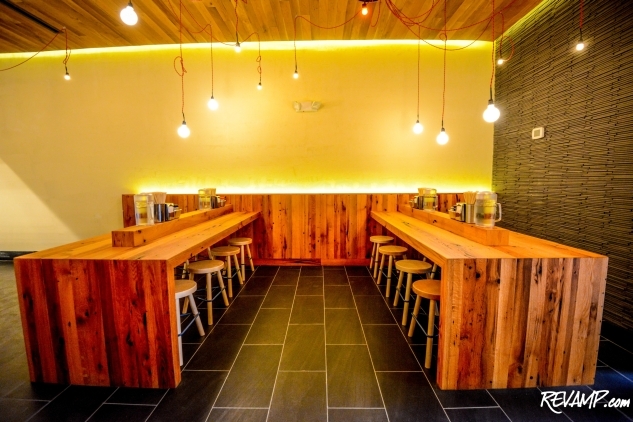 Ramen bowls at Daikaya will be priced between $11.50 and $12.75, with sides $5.00/each. 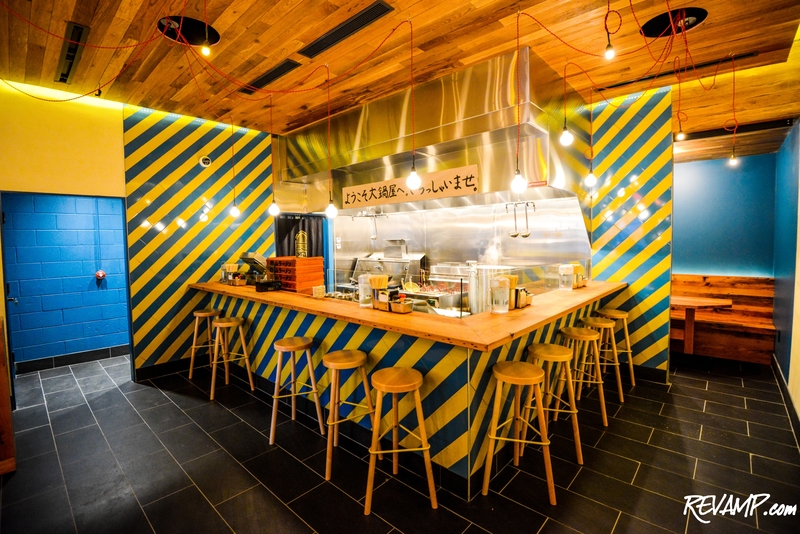 Brian Miller of bar and restaurant design firm Edit drew his inspiration for the space from a firsthand trip to Japan he took, along with the owners. 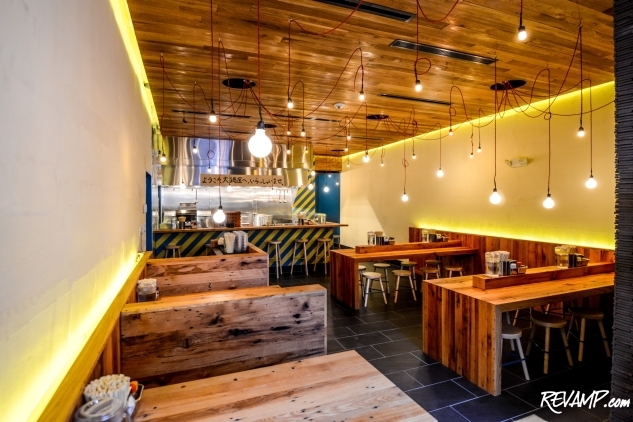 Small, bright, and lively, the ground floor ramen area is visible even from the street, with the stainless steel cooking line and chefs at the heart of the room. 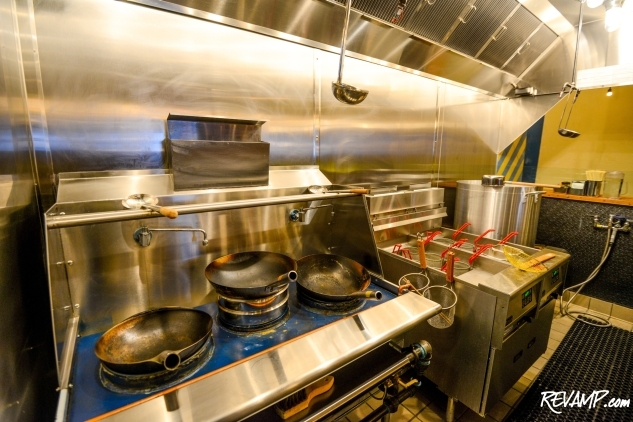 Patrons seated at the counter will have a prime view of all of the kitchen action, with massive pots of noodles boiling and woks being carefully stirred. 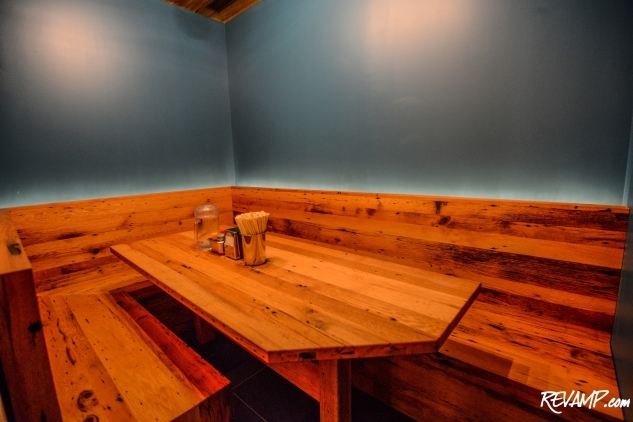 Daikaya opens tonight at 5:00 p.m. for dinner and will serve until 11:00 p.m. Regular lunch and dinner service will begin in approximately a week, Sunday through Thursday from 11:30 a.m. to 11:00 p.m., and Friday and Saturday 11:30 a.m. to 1:00 a.m. 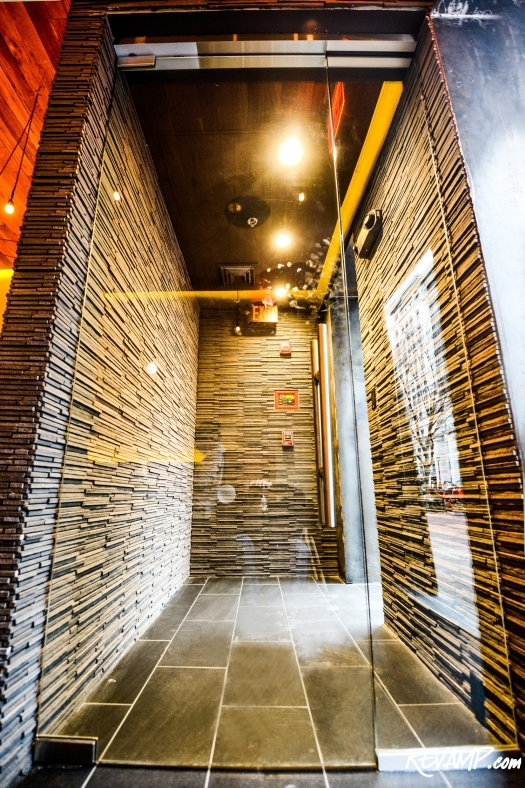 The ramen shop does not accept reservations, with walk-ins welcome.